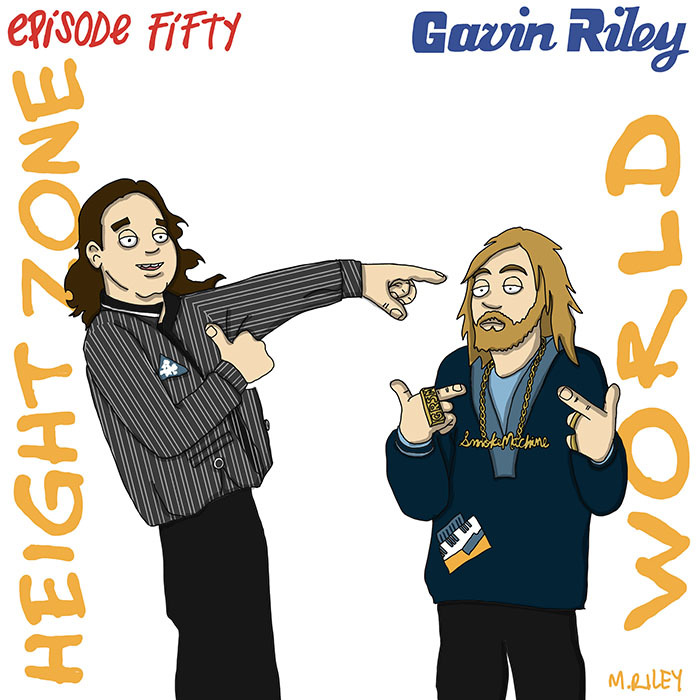 My guest this week is Gavin Riley. He’s the man behind Gavin Riley Smoke Machine, a years-in-the-making Choose Your Own Adventure rap epic. We first met in 2006, and he became part of Height With Friends in 2009. We talk about his first group Rowan and Hastings, and about his first solo album from the mid-2000’s. He explains how his current project initially connected unconnected songs in his live set, and how he’s slowly fleshed it out into a tight, compelling story. We talk about the intensity of spending years on one thing, and about how he isn’t anxious to knock it out and get to another thing. Mike Riley’s art this week is an homage to Jazzy Jeff and The Fresh Prince’s “He’s The DJ, I’m The Rapper.” This episode is hosted by Splicetoday.com. Posted on July 20, 2015 by height keech	Bookmark the permalink.